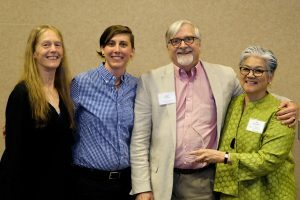 Congratulations to the 2017 Access to Justice Award Winners! 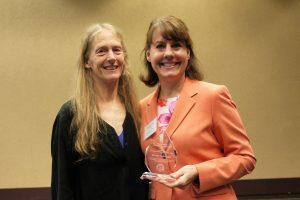 Each year the Access to Justice Board honors colleagues and partners who promote access to justice through their leadership, courage, and innovation by presenting Access to Justice Awards. The deserving individuals and organizations chosen this year were honored during the Access to Justice Conference luncheon on Saturday, June 3. Conference Planning Committee Co-Chairs Ishbel Dickens and Beth Leonard presented the awards. 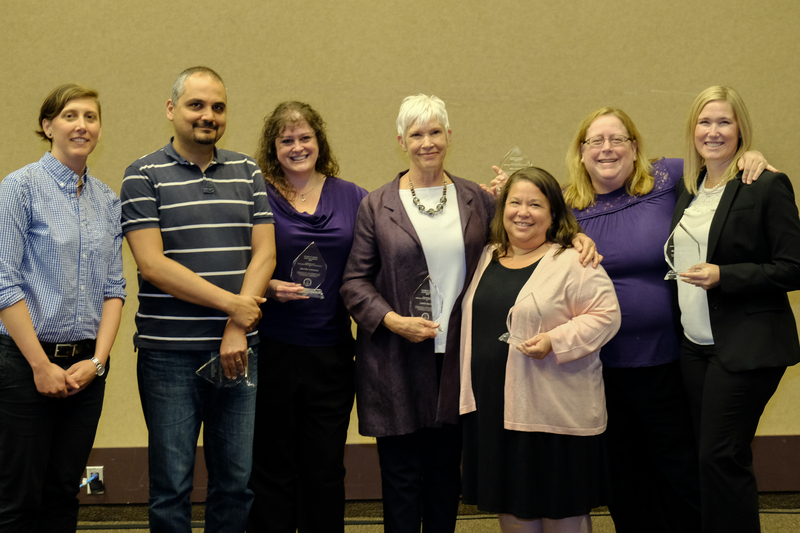 Please join us in thanking the award recipients for their dedication and commitment to justice and equity! Justice Barbara Madsen is recognized as a member of the judiciary who has shown significant leadership in improving access to the justice system. Throughout Justice Madsen’s judicial career – from Municipal Court Judge to Supreme Court Justice and Chief Justice – she has demonstrated strong leadership by consistently affirming the importance of access to justice for all people in Washington State. She has helped to work toward gender equity within the court system and legal profession; protect the rights of low-income individuals to access the court system without having to pay filing fees and other surcharges; protect the rights of criminal defendants against the routine assignment of discretionary legal financial obligations that they are unable to pay; and worked to improve trial court proceedings that are tinged with racial and ethnic bias. 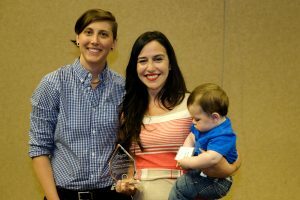 Puentes: Advocacy, Counseling & Education is recognized as a community-based, grassroots organization that has collaborated with Alliance members and provided leadership in serving the needs of low income people. Puentes’ mission is to “mobilize mental health resources to help undocumented migrants and their families cope and flourish despite our broken immigration system.” They create innovating therapeutic spaces to promote social healing, the recovery of social agency, and engage community members to work towards immigrant justice. Much of their work is done at the Northwest Detention Center side by side with advocates from the Northwest Immigrant Rights Project. Northwest Justice Project’s Domestic Violence Advocacy Team is recognized for their outstanding work as advocates. The team includes Leslie Savina, Jacquelyn High-Edward, Mary Welch, Jennifer Ammons, Mark Ferraz, and Karla Camac Carlisle. This team helps domestic violence survivors with domestic violence protection orders and related family law cases. In the past year the team has delivered an impressive string of appellate success that will have a significant impact on the ability to advocate for clients’ safety in court (Juarez v. Juarez; Maldonado v. Maldonado; Aiken v. Aiken). As highly effective and tenacious advocates, their work is a model of how strategic, collaborative, and tireless advocacy can achieve systemic change to meet the needs of highly vulnerable people. Greg Dallaire is recognized for his efforts in helping to build and promote a statewide, integrated, non-duplicative civil legal aid delivery system that is responsive to the needs of low-income Washingtonians. 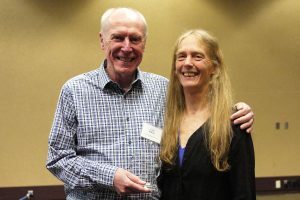 Having been involved in statewide legal services for over 40 years, he has served in multiple legal aid positions, including as executive director of Evergreen Legal Services, and the interim director of the Legal Aid of Washington Fund. Greg has served on a number of boards including the Access to Justice Board, Sargent Shriver National Center on Poverty Law, the Center for Legal Aid Education, and the WSBA’s Limited License Legal Technician Board. Most recently Greg serves as the Public Service Counsel at Garvey Schubert Barer where he oversees the Next Chapter initiative where he facilitates pro bono opportunities for attorneys who have retired from the firm. Senator Ann Rivers, R-Vancouver, is recognized as an individual outside the legal community who has played a strategic, significant and courageous leadership role in improving access to the justice system. Senator Rivers has demonstrated wise, thoughtful and nonpartisan leadership to support increased funding to civil legal aid nationally and locally through her involvement with the Equal Justice Coalition (EJC) and bipartisan Civil Legal Aid Oversight Committee. She has traveled with the EJC delegation to Washington, DC, to lobby our state’s legislative leaders and has helped the EJC to form relationships with local Washington State representatives. As a member of the Civil Legal Aid Oversight Committee, Senator Rivers played a key role in crafting the Civil Justice Reinvestment Plan, which calls on the legislature to significantly increase its investment in civil legal aid. Senator Rivers’ endorsement of civil legal aid funding has served as a strong voice to the important work of civil legal aid. Jointly given by the Access to Justice Board and Washington State Bar Association, this award honors Norm Maleng’s legacy of innovative and optimistic leadership, love of the law, and commitment to diversity and mentorship. 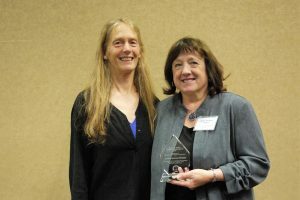 Ada Shen-Jaffe is recognized as someone who embodies these characteristics as an influential member of the equal justice community at the local, statewide and national level for over 30 years. Over the course of her career she has been a key player in developing the architecture and strategy of civil equal justice within Washington. She served as the executive director of Columbia Legal Services, helped to establish the Access to Justice Board, shepherded many equal justice initiatives, and mentored countless individuals. Most recently Ada is committed to the development of other leaders as a faculty and mentor for JustLead Washington’s Leadership Academy and the Sargent Shriver National Center on Poverty Law’s Racial Justice Training Institute.